The production version of the TVS Akula 310 concept will launch by August. 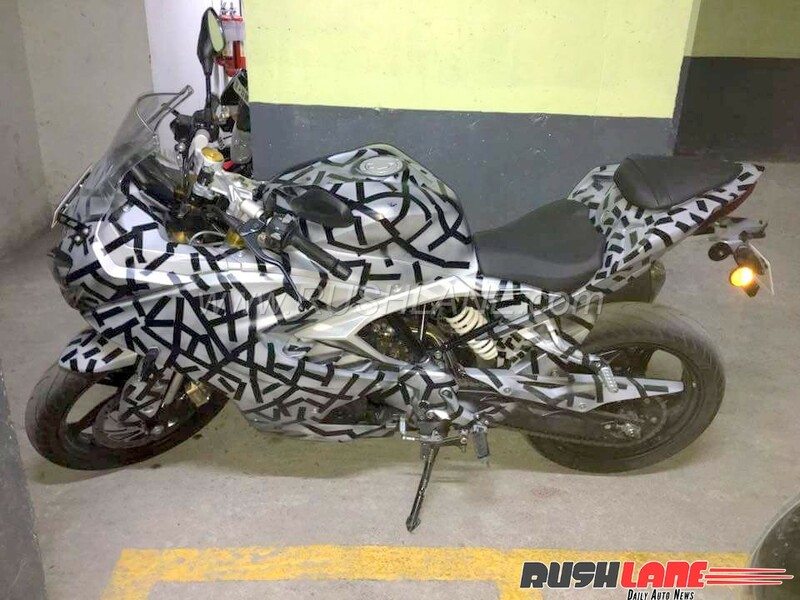 The TVS Apache RR 310S has been spied up close by a Rushlane reader. The motorcycle remains true to the concept model’s shape but gets raised clip-ons and new foot peg position to provide a relaxed riding position. The TVS Apache RR 310S gets a slightly taller set clip-ons and comfortable foot peg position for a relaxed riding position. The bike will be TVS’ first production motorcycle to sport a full fairing, projector headlamps and upside down fork up front. The fully digital instrumentation in the TVS Apache RR 310S up close reveals the presence of a gear shift light on the vertically mounted unit. Brake calipers, in the front as well as rear, have been sourced from Bybre and work on petal, ventilated discs. The front brake caliper is radially mounted. The spied TVS Apache RR 310S gets Michelin Pilot Sport radial tyres which have an ideal balance between longevity and road grip. 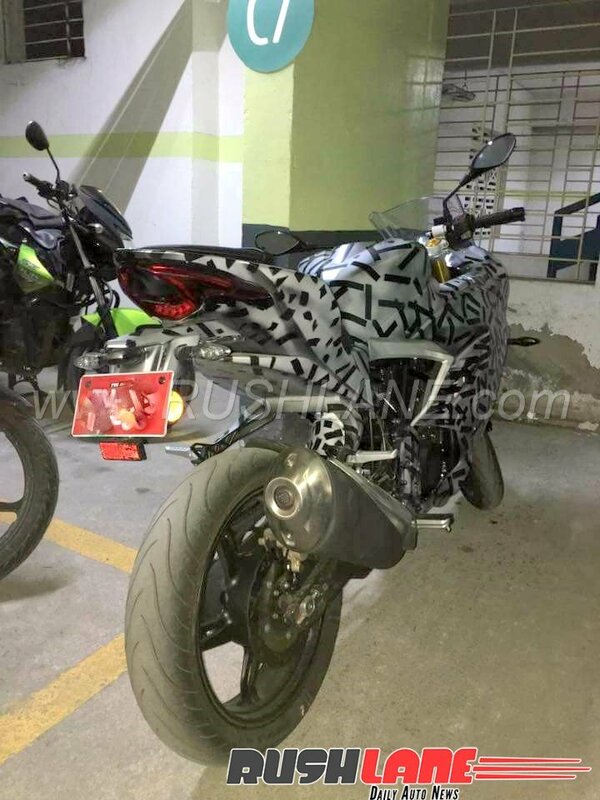 The presence of ABS rings confirms that the safety feature will be offered in the motorcycle though a base, non-ABS variant may also be on offer to keep costs under check. The exhaust unit is a direct lift from the BMW G310R while a suspension cover is also present alongside the rear suspension. TVS Apache RR 310S gets an exhaust canister from the BMW G310R and upside down front fork. The TVS Apache RR 310S is powered by a 313 cc single cylinder mill which has been sourced from the BMW G310R. The powerplant in the naked roadster produces 34 hp of power and 28 Nm of torque. The output in the faired TVS though may be in a different tune. The motorcycle will launch in 2-3 months.